At Merolla & Gold, LLP, we are committed to offering innovative solutions, professional counsel and personalized service to clients throughout Georgia, Floirida and beyond. We are a boutique legal practice that combines the cost-efficiency of a small firm with the sophisticated, results-driven representation of a much larger firm. In every case, we define our success by the outcome we achieve for the individual, small business or nationwide corporation that puts its trust in us. In addition to their legal acumen, our skilled attorneys have real-world experience with business formations and a myriad of other commercial matters. Their backgrounds assist them in crafting comprehensive and effective legal strategies that are tailored to each client's unique business goals and budgetary constraints. 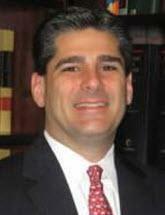 Our lawyers are licensed in Georgia, Florida and New York. Merolla & Gold, LLP, is also proud to offer reasonable rates, flexible fee structures and cost-containment programs as necessary. To arrange a complimentary consultation with one of our lawyers, call our midtown Atlanta office located at the Four Seasons Hotel.